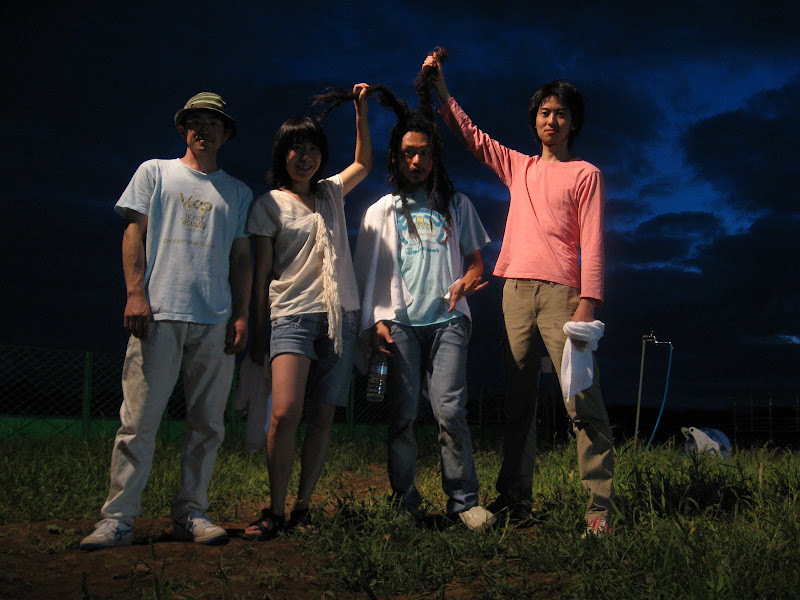 kidslooklikekats: Boredoms: "Super Roots 10". Boredoms return with the newest installment to the Super Roots series, Super Roots 10. Produced, performed and designed by Yamataka Eye and Boredoms, this sunny little gem of an EP isn't your typical Boredoms release. Eye, known for his avant-garde vocals and rants, adds minimally to a swirling mixture of fuzzy synthesizer, driving house beats and crisp live drums that see the band releasing their Strawberry Jam, if you will. Equal parts world beat, shamanic/tribal vocal and synthy experimentation a la Tortoise's Beacons of Ancestorship. Featuring four remixes of the title track, each unique and electrifying in their own way, Super Roots 10 is sure to make many noise rock, experimental and indie rock lists upon release. Due for release on 9/29/09 as a limited double 12" on Thrill Jockey records.